SO! Amplifies: Eric Leonardson and World Listening Day 18 July 2014 | Sounding Out! On July 18, 2014 all are invited to participate, observe, engage, and celebrate ways of listening with care for our sonic environment in the annual World Listening Day. 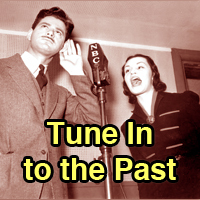 This year’s theme is “Listen to you!” But first, listen to Eric Leonardson as he reveals the history of World Listening Day and more to kick off SO!’s third annual World Listening Month. Five years ago Dan Godston came up with the idea for World Listening Day, inspired by the pioneering work of the World Soundscape Project from the 1970s, and its founder, author, and composer R. Murray Schafer. With a group of Chicago-based sound artists and phonographers we started the World Listening Project, a non-profit organization “devoted to understanding the world and its natural environment, societies and cultures through the practices of listening and field recording.” The impetus for the WLP came from Dan as well; he connected us with Bernie Krause, the musician-turned-bio-acoustician now a global advocate for preserving the disappearing natural soundscapes and the species that make them. The World Listening Project began with a confluence of people interested in field recording, media art, experimental music, and ecology with the potential benefits in using the web to present a global soundmap and recorded archive of the world. Connecting with people like Krause who are concerned with sound in the environment continues to lead to new connections and an expanding network of people from many different disciplines and attitudes. Dan first broached the idea of World Listening Day as a question. He wrote that it “…might be a good occasion to draw attention to listening practices, acoustic ecology, soundscape awareness, and so on.” He noted that there was already a World Listening Awareness Month. But, its focus didn’t include soundscape awareness. As seems to have happened with Earth Day, we were concerned World Listening Day may be no more than a symbolic gesture for what really needs to be a daily effort. With that unanswerable question hanging, Dan Godston announced the first World Listening Day in June 2010, setting the date as July 18, R. Murray Schafer’s birthday. Through email, the World Listening Project website, and social media, Dan made sure as many people as could were informed. The idea resonated and caught on. At the time I was visiting in Berlin and enjoyed meeting with young artists at their sound art gallery, Berg 26, and their esteemed teacher, Martin Supper. World Listening Day was a perfect vehicle for a project they were already planning. Udo Noll jumped on the idea, too. His radio aporee online soundmap fit right in. After I returned to the states, the first national conference of the American Society for Acoustic Ecology was held in Chicago. A week afterward, July 18 arrived. Much to our relief and surprise, hundreds of people had responded to Dan’s call for participation, locally, nationally, and internationally. The Nature Sounds and Night Skies Division of the U.S. National Park Service at Fort Collins, Colorado observed it and produced this excellent World Listening Day web page. 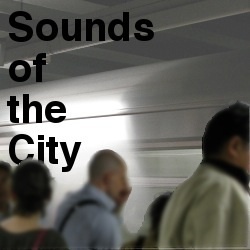 Each year, Udo Noll creates a special “sonic snapshot of the world” on the aporee.org soundmap site. From Portugal, Luis Antero produces a World Listening Day show on Radio Zero. Public, institutional, and media interest increased in subsequent years. The BBC Radio reported about World Listening Day last year, when I also celebrated with Murray Schafer for his 80th birthday at the Stratford Summer Music Festival, in Ontario. In our first World Listening Day podcast for Sounding Out!—SO! has joined in observing WLD by hosting a yearly “World Listening Month” Forum since 2012– we learned from Pauline Oliveros, the pioneering composer and founder of Deep Listening, that most folks, including cognitive scientists, still don’t know what listening is. We also highlighted how technologies of recording and concern for environments undisturbed by human activity are bundled together in interesting, divergent ways. Tom, Monica, and I are working on a second podcast to debut here on Sounding Out! on World Listening Day on July 18th 2014, that digs into such concepts as “acoustic identity,” “soundscape composition,” and “listener recognizability,” among others we rarely encounter in everyday conversation. We hope WLD 2014 will involve even more people and organizations who will notice and spread the word on into the future. Most importantly, we work toward the shared realization that everyday should be World Listening Day. Toward that end, we reprint the WLD 2014 “official” instructions below. Participation in the past four World Listening Days exceeded our expectations. In this fifth year we anticipate even greater activity and interest. here are 15 days remaining to plan a World Listening Day activity—whether individual, group, or social-media oriented—so jump right into the 2014 World Listening Day activities by emailing worldlistening@gmail.com about your plans. Please be sure to include “World Listening Day” in the subject line or download the 2013 World Listening Day participation form here. Thanks! How do you make yourself heard by others? How do you listen and what do you hear when you want to be unseen? 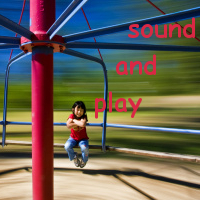 How might the sounds you produce adapt to your nearby environment? What might a “listening ethic” be? How might such an ethic apply particularly to understanding the relationship between humans and other living creatures? World Listening Day is co-organized by the World Listening Project (WLP) and the Midwest Society for Acoustic Ecology (MSAE). July 18 was chosen because it is the birthday of Canadian composer R. Murray Schafer, founder of the World Soundscape Project and author of the seminal book, The Tuning of the World. WLP and MSAE invite you to participate in the 2014 World Listening Day, on Friday, July 18 and also through the week of July 14th-20th. A soundwalk or a listening party with people who make, listen, and discuss field recordings. A performance event that explores your soundscape and how we can listen to our sonic environment. A private / solitary way, by listening attentively to your soundscape. An educational event that relates to acoustic ecology, field recordings, or a similar topic. Contact local groups participating in World Listening Day and get involved. Eric Leonardson is a Chicago-based audio artist and teacher. He has devoted a majority of his professional career to unorthodox approaches to sound and its instrumentation with a broad understanding of texture, atmosphere and microtones. He is President of the World Forum for Acoustic Ecology and founder of the Midwest Society for Acoustic Ecology, and Executive Director of the World Listening Project. Leonardson is an Adjunct Associate Professor in the Department of Sound at The School of the Art Institute of Chicago.